Your furniture business website can be as important as your furniture. Let the experts at GraFitz Group Network explain why. Comfort and style seem to be the bigger concerns when buying furniture. Like an automobile, fine furniture is a major investment. Design, color, and pattern all come into play. Whether you're looking for modern or antique furniture, inexpensive or top-of-the-line, creating the right atmosphere in your home, office, or business sets the integral tone décor of your lifestyle. Form and function complement each other when it comes to furniture design. Similarly, these elements come together in your business site or corporate branding. GraFitz Group Network creates custom websites with E-commerce easy, user friendly navigation. Allow your customers to browse through your selection without the irritation and confusion of other sites. 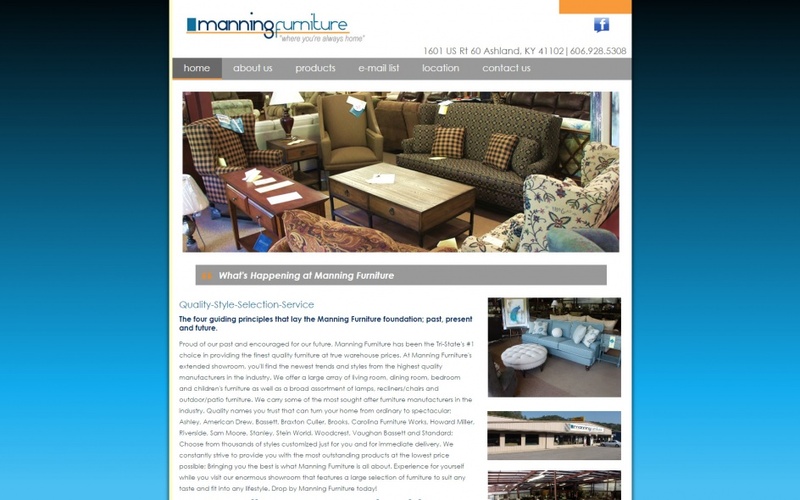 Your furniture website can be a starting point for how all of your services and products are perceived. Get a sleek, stylish, simple look that makes customers gravitate to your place of business. GraFitz Group Network can create any site or branding to enhance your furniture business with a desirable look of comfort and quality. Making household purchases can be emotionally draining and anxiety inducing for your customers. The team at GraFitz Group Network wants to help assure them that they are making the right choice with your business. GraFitz Group Network can help your customers find you with our search engine optimization package. Our SEO team will help make sure your potential customers know your furniture business is out there. We specialize in making businesses in the Huntington WV and Tri-State Area accessible to their potential clients. With geographic optimization, as well as Facebook implementation, the team at GraFitz Group can help put your furniture business “on the map”. Our copywriting team will assist in gathering and writing your website content, and ensure that your website has the professional look and sound that your business needs. A great, optimized website can help move local businesses from just surviving, to thriving! Contact us today to get your free consultation, and learn more about building the website of your dreams!